A Day in First Grade | Spell with me! My kiddos have been having a “hard time” when it comes to spelling their long vowel words correctly. They add letters, omit letters and come up with some really fantastic kid spelling, however, they are ready to forge ahead in their spelling skills. 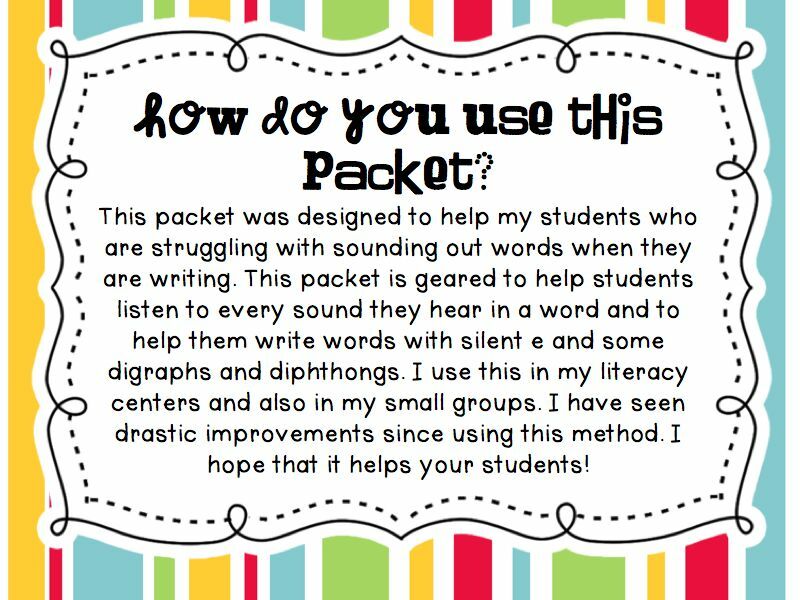 For this reason, I created a packet to help my students really listen to the sounds they hear in words. 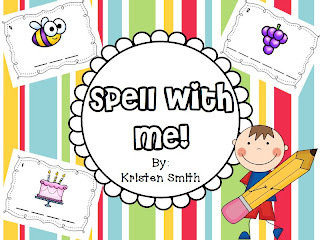 The pack is called “Spell with Me” and it is designed to create confident, correct spellers in your classroom. 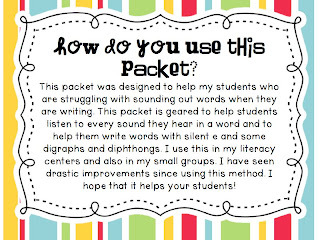 My class loves it and they feel so successful with this method. After my students are confident in listening for the sounds in words, I play a few games with my students with these smaller picture cards. In the pack there are four games that you can play as small or large group games. In these games my students (and yours!) 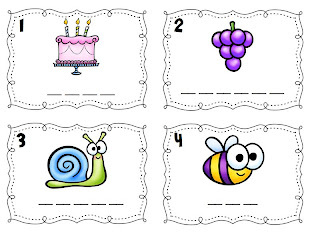 will write a letter on each line under the picture. The lines help reinforce how many letters they need to write and it helps them come up with the correct letters. 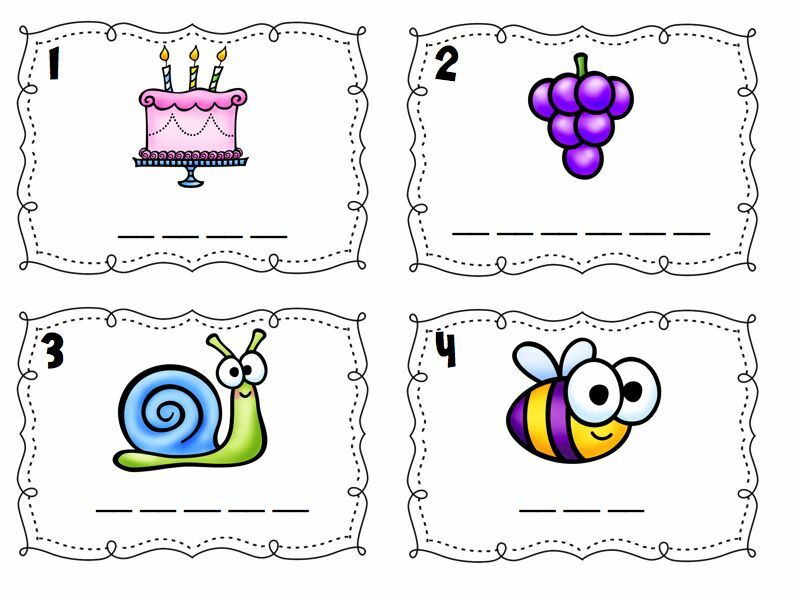 After we have played a few games, I put these cards in my Literacy Centers and let my little learners show off their skills independently. They really like the pictures and the activity. I hope that your students like it, too!! You can get it at my TpT store for just $3.50. Confident first grade writers who want to show off their work!! I’ll try to snag some pics this week and add some!! What a great idea! I started following you on TPT and added it to my wish list. 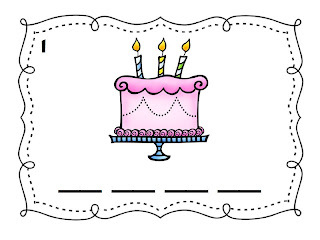 I just did a couple of posts about spelling word practice ideas on my blog. Looks awesome Kristen! What a great idea!! Thanks for sharing!! Great idea! I’m putting it in my wish list!